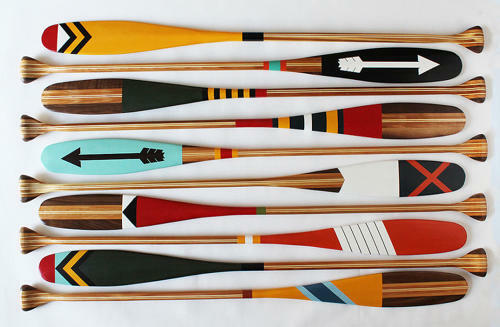 We've fallen for these beautifully crafted and hand-painted paddles by the Sanborn Canoe Company from Minnesota, USA. Each is a laminated combination of western red cedar, aspen and black walnut. With a range of unique designs in striking colours they are perfect for taking out with your canoe but look equally fabulous hung on your wall.